The wor k at the Forest Practices Board is rewarding for so many reasons, the most important of which is the opportunity we have to interact with the people of BC: the First Nations, forest and range licensees, natural resource professionals, communities, stakeholders, interest groups, the concerned public, and government resource managers. The Board works for all of you. It is accountable for its work, and I think we all share the same commitment to stewardship – to carefully and responsibly manage the public resources entrusted to our care. This is the essence of stewardship. My appointment as Chair at the Forest Practices Board has come to an end. I would like to say it has been a thoroughly enriching and rewarding four years. The Forest Practices Board staff have been a pleasure to work with, and I would like to personally thank everyone I have met and interacted with. It has been my honour and privilege. 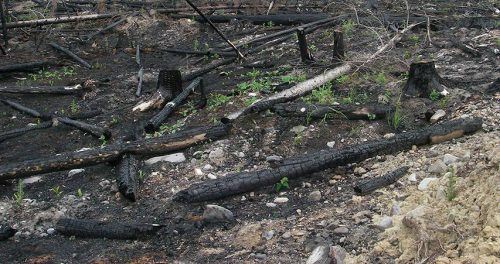 The 2017 audit season was well underway when forest fires broke out across the interior of BC on July 7, 2017. With a state of emergency declared and licensees fully engaged in the fire suppression and prevention efforts, the Board put most of its audit program on hold. For the rest of the summer we watched, along with everyone else, as the unprecedented fires burned through BC’s forests and displaced tens of thousands of people. The state of emergency was finally lifted on September 16 and Board auditors began assessing the impacts of the fires on our chosen audit areas and preparing to carry out five audits in the seven weeks remaining before winter weather set in. October was the busiest audit month we have ever had we managed to complete the field work for five audits, with the last two finishing just hours before heavy snow fell and covered the ground being audited. Three of the 2017 audits have been published – Winton Global, BC Timber Sales on Southern Vancouver Island and Lakeside Pacific Forest Products. Staff continue to work on the analysis and report writing for the remaining audits and we will aim to have them all published by the end of March 2018. The length of time it takes will depend on the findings – the more issues we find, the longer it takes to complete the necessary analysis, verification and consultation work. At the start of this audit season, we said we would review any newly approved FSPs that we see in our audits of forest licensees and we intended to publish a special report summarizing what we found in the new FSPs. As it turns out, only one of the 11 operations audited in 2017 had a new FSP in place. The rest did all their work under old FSPs. We will have to wait until the 2018 audit season to see if we can start assessing FSP content as part of our annual audits. We currently have 10 public complaints under investigation. Several of those are nearing completion and you can expect to see them published in the first quarter of 2018. Board staff are also following up on 19 public concerns that may turn into complaint investigations if the concerns can not be resolved. Since the summer newsletter, the Board has published investigation reports on two complaints about sedimentation of drinking water sources. 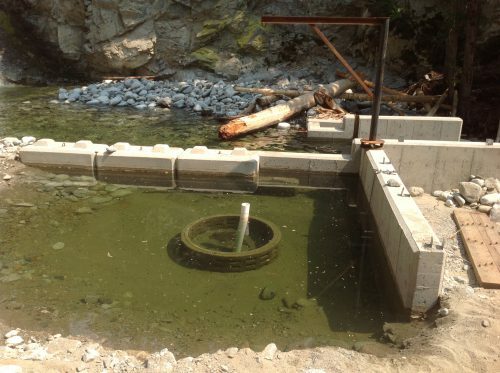 In both cases, the complainants asserted that harvesting and road construction had caused erosion and sedimentation to plug their water intakes and prevented them from accessing drinking water from their domestic water supply. The investigations considered whether the licensees adequately addressed the risks of their forestry operations to water quality. In both cases the Board was unable to determine to what extent the harvesting and road construction contributed to sedimentation. Both locations also had natural sources of sediment that contributed to sedimentation of the water intakes, which was exacerbated in one case by unusually high rainfall. In both complaints, the licensees were found to be in compliance with legislation and had adequately managed the risks to water quality. Water quality is a significant public concern and the board continues to receive concerns and complaints on this topic; 3 of the 10 current complaint investigations involve impacts of harvesting and road construction in community or domestic watersheds. Other topics currently under investigation include: species-at-risk, harvesting in recreation sites, wildlife, visual quality objectives, ecosystem-based management, and damage to fish habitat. As well as complaints, Board investigators work with the public to address concerns before they become complaints. We have received over 40 concerns in 2017. Some of the topics we have worked on are harvest planning, road maintenance, visual quality, forest stewardship plans, terrain stability, public consultation, logging on traplines, range tenure issues, landscape level biodiversity, forest health, rehabilitation after forest fires, wildlife habitat, and oil spills in cutblocks. 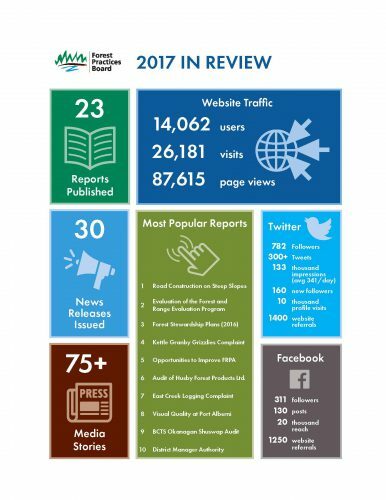 A number of significant reports were published in the latter half of 2017. The purpose of this special report is to identify key opportunities to improve the Forest and Range Practices Act (FRPA). It is based on a review of Board recommendations from reports published since 2010 and the British Columbia government’s response to those recommendations. In this report, the Board identifies five priority recommendations, discusses why they continue to be priorities in 2017, and describes the status of government’s implementation of the Board’s recommendations related to FRPA. The report has been very well received and is being widely shared on social media. The Board appreciates the support we are receiving for this timely and important advice to government and we look forward to government’s response. Evaluating the effectiveness of practices is a cornerstone of results-based management under the Forest and Range Practices Act. This report concludes our evaluation of how well the FREP program is achieving its intended outcomes and is leading to continuous improvement of forest and range practices. After 15 years, the FREP program has not implemented effectiveness monitoring for a number of the values recognized in FRPA, which is a concern. A great deal of work has been done, but there is still much more to do to realize the vision. This special investigation of road construction in steep terrain came out in September and was met with praise from many in the forest industry. This was the most popular Board report of 2017 with hundreds of copies downloaded from our website. 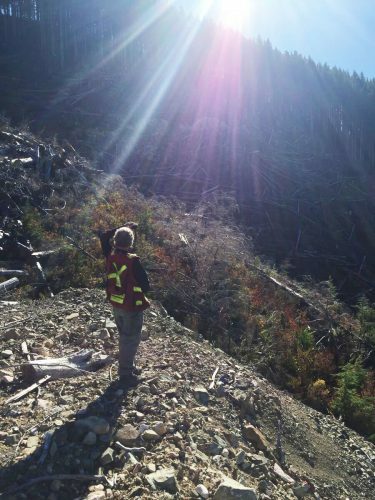 The Association of Engineers and Geoscientists BC and the Association of BC Forest Professionals are working on guidelines for improved steep road construction and we look forward to seeing those finalized in 2018. We hope this report contributes to safer and more stable road construction practices in steep terrain. In August we published a report on a complaint investigation involving grizzly bear management and road densities in the Kettle Granby area of south central BC. The key issue was licensee implementation of voluntary measures to reduce road densities and protect grizzly bear. We found that the measures were not implemented and we recommended that government consider whether voluntary measures are appropriate, given the poor results. This report was met with significant public interest, which is not surprising given the importance of the grizzly bear to BC and recent announcements by government suspending the trophy hunting of this iconic species. In addition to media coverage, the report was one of the most downloaded reports of 2017 and the subject of numerous tweets, retweets and shares on Twitter and Facebook. We are anticipating government’s response to our recommendations early in the new year. Government’s review of professional reliance is now underway and the work is being led by Mark Haddock, who is also the Board’s General Counsel. Mark is on a temporary appointment to the Ministry of Environment while he carries out this work for Minister Heyman. In the interim, the Board’s former General Counsel, John Pennington, has come back from his retirement to assist the Board with its legal counsel needs. In terms of professional reliance, the Board has made a formal submission to the review, based on the Board’s experience with professional reliance and previous reports and recommendations dealing with the topic. The submission can be viewed on the professional reliance review website at https://engage.gov.bc.ca/professionalreliance/read-stakeholder-submissions/. It will also be made available on the Board’s website at www.bcfpb.ca. The Board is finalizing the terms of reference for a new project that will look at how recreation values are protected from impacts of forest and range practices. Recreation is a topic the Board has not specifically examined since 2008, other than in a handful of complaints about specific sites. This project will get underway in 2018 and, once finalized, the terms of reference will be posted on the Board website. 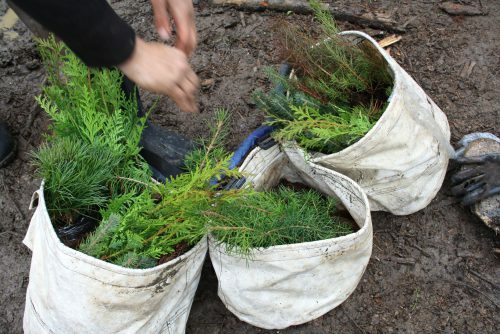 The Board just approved a new project that will look at whether an appropriate mix of species is being maintained in the Interior Douglas-fir biogeoclimatic zone of southern BC and the implications for timber and non-timber values if it is not. 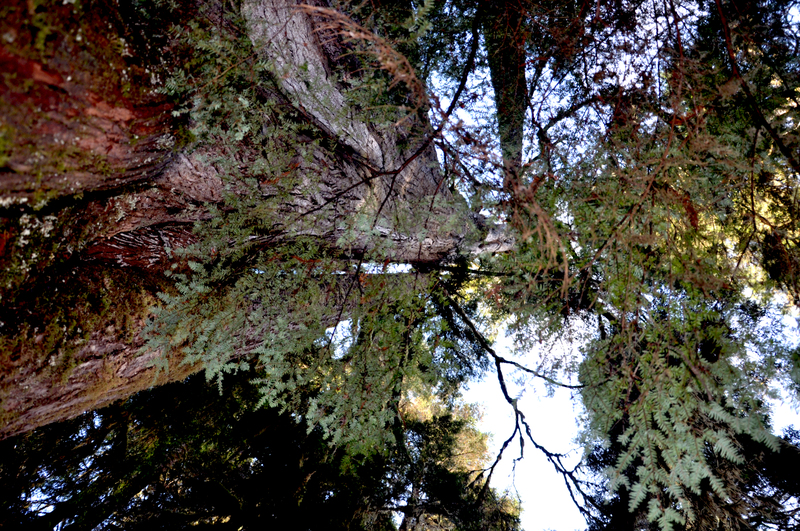 The Board will examine compliance with FRPA requirements and effectiveness of reforestation choices in achieving long-term objectives for timber and non-timber values and resilience to forest health agents and climate change. The terms of reference for the project are being finalized and it will be posted on the Board website in the first quarter of 2018. Manager of Investigations and Audits, Del Williams, will be retiring from the Board in April 2018. Not retiring entirely from the forestry world, Del will be managing his woodlot near Revelstoke and he may dabble in some part-time forestry consulting. During his time with the Board, Del has investigated many complaints and has worked on several special investigations. He is best known for his work on the Board’s report on forest stewardship plans and we will certainly miss his knowledge and expertise. We wish Del all the best in the future. In September, Chris Mosher, CPA, CA, EP(CEA), Director of Audits and Chief Financial Officer for the Forest Practices Board, was awarded the inaugural 2017 ECO Impact Award in the Auditor Impact category. Chris was nominated for his work developing the Board’s field-based compliance audit program. 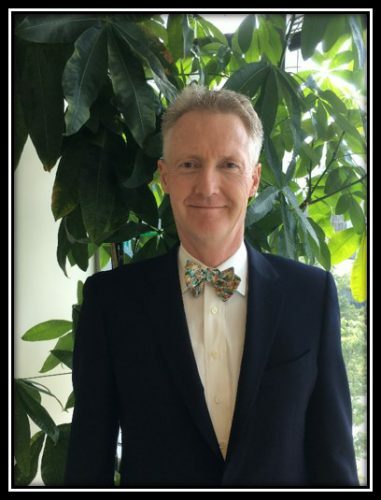 With the Board since 1996, Chris is an integral part of the Board’s audit program, providing leadership, direction, quality assurance and oversight for all of the audits carried out by the Board each year. The ECO Impact Awards recognize outstanding environmental professionals and environmental professionals in-training who have provided innovative, impactful, productive or engaging solutions that further the environmental sector or who’ve led initiatives in their specialization or workplace. The award was presented September 28th at a ceremony in Calgary, Alberta. On December 31, 2017, the appointments of Bill McGill, Vice-Chair, and Ralph Archibald, member, expire. Both members have served six years on the Board and are not eligible for reappointment. Board Chair Tim Ryan’s appointment also expires on December 31, 2017 and government has not renewed his appointment. Current Board members Ken Higginbotham, Marlene Machmer, and Norma Wilson will continue to fulfill the duties of the Board under the Forest and Range Practices Act and the Wildfire Act. We are awaiting government’s appointment of replacement members and will announce them as soon as they are made. 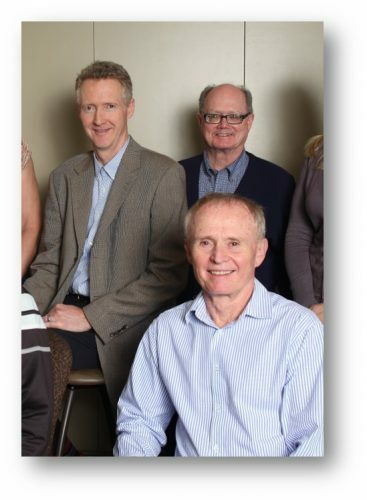 Board members and staff wish to express their appreciation to Bill, Ralph and Tim for their service to the Board and the public, and their tremendous contributions to the promotion of sound forest and range practices in British Columbia. Ralph brought his expertise and understanding of government policy to the table, along with his many years of experience with the Ministries of Environment and Forests. In particular, Ralph’s knowledge of what the legislators intended when they wrote the Forest and Range Practices Act has been an invaluable perspective. His insistence on reports and recommendations that help to improve implementation of FRPA and achieve the legislators’ intent is evident in some of the Board’s work in recent years. Bill brought his quiet thoughtfulness and his knowledge and experience with UNBC students who are the future of resource management, as well as his concern for the public, to the Board’s discussions. When Bill spoke, everyone listened because his words were always insightful and enlightening. He kept the Board focused on the public interest. Tim worked tirelessly during his four years as Chair of the Board to shine a light on the issues that need to be addressed, to encourage implementation of recommended improvements, and to develop relationships, awareness and understanding with stakeholders, particularly First Nations and local government officials throughout BC.